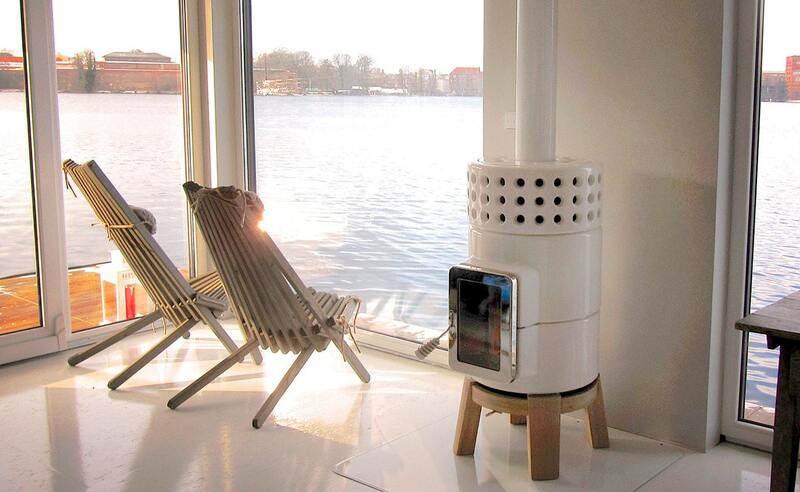 Stack ceramic wood burning stoves are based on the concept of modular components which incorporate sections that are “stacked” on top of each other to create the unit as a whole. Made in Italy by La Castellamonte, known for a tradition of ceramic making and designed by Adriano Design Studio. These artisans have been able to preserve ancient clay working techniques and use them to create high quality products, while adapting them to meet the needs of current market demands. Winner of the prestigious Menzioned’Onore del XXIII Compasso d’Oro—ADI Design Index and the 2013 ISH Design Plus awards. 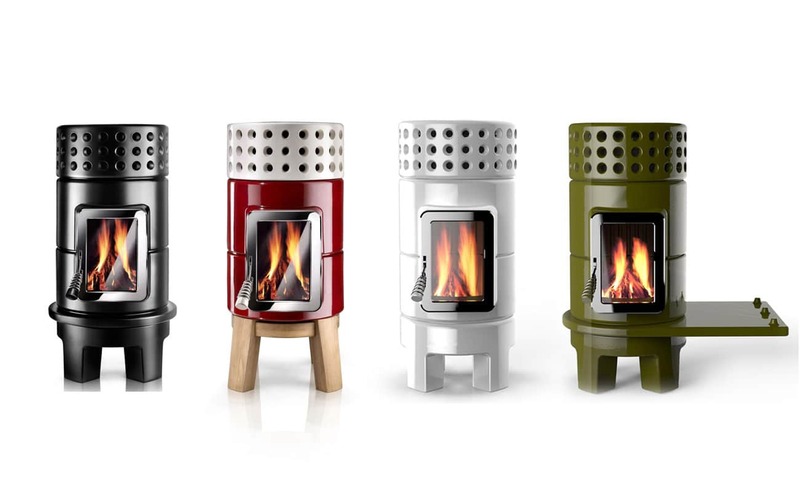 Each stove is carefully hand-crafted to the highest quality standards by experienced artisans. The burn system utilizes a sophisticated ceramic baffle for optimal combustion. 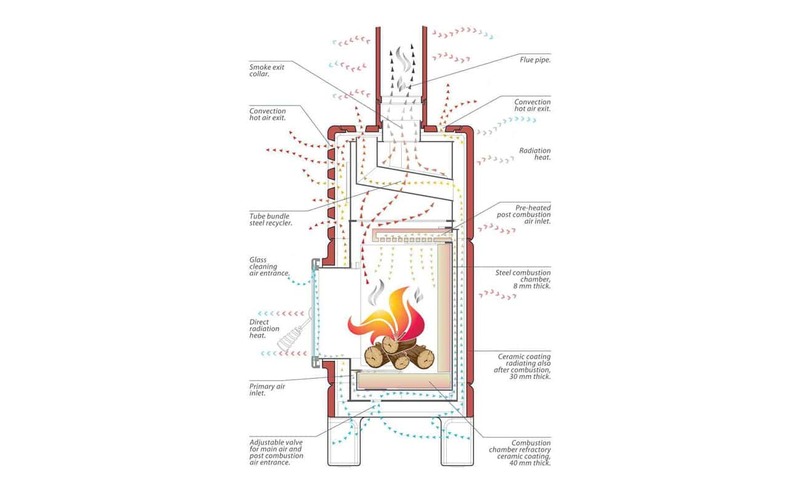 The optional accumulation heat exchanger enables lower wood consumption with higher heating and radiation. The design incorporates current technology while keeping the concepts of energy saving and environmental protection in mind. 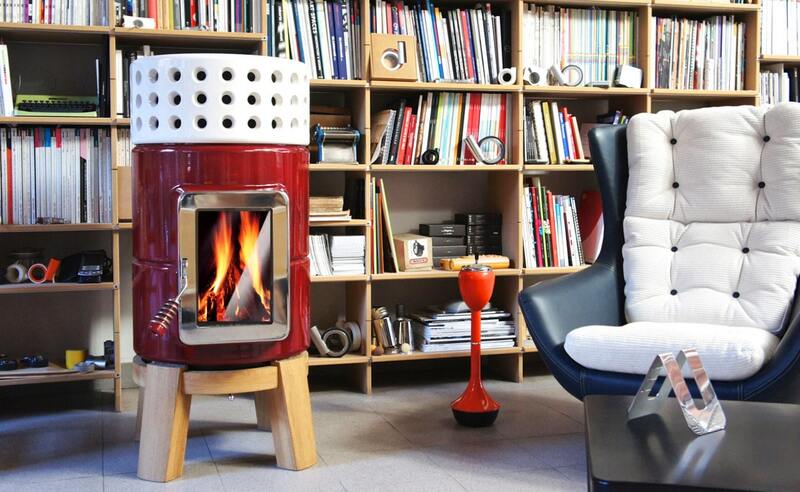 Also available from La Castellamonte is the Rondó, a more traditional wood burning stove that incorporates the same high quality craftsmanship as the Stack stove. 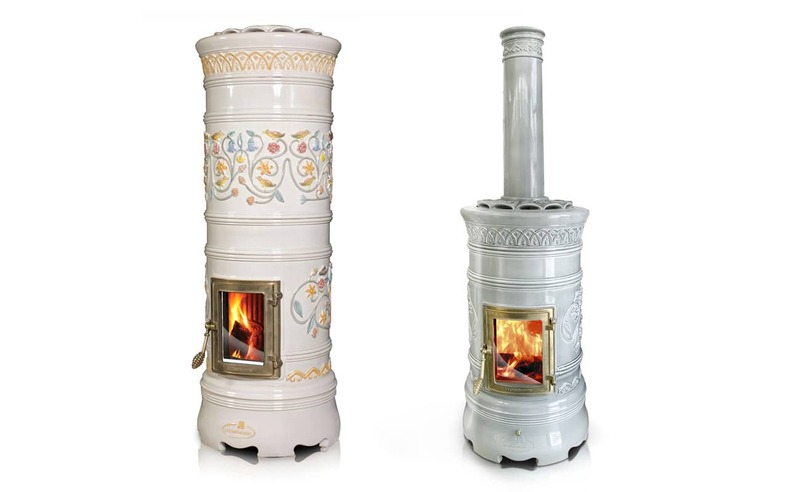 The Rondó stove comes in two heights and can be ordered with a solid color or a raised floral patterned body. Stack wood burning stoves are an icon of modern design and can be paired with traditional classic or contemporary home furnishings. They are a union of beauty, craftsmanship, and energy savings.